I stared at the middle aged woman. She was pretty, but she looked weathered. Large bags hung beneath her eyes. Her face looked permanently creased from worry. She stared at me with her eyes glistening. “Hey,” she said softly. I didn’t know who she was. I just stared at her. Who in the world was she? “Should I know you?” I asked, leaning back in my chair. As she took a deep breath and briefly closed her eyes, a tear ran down her cheek. I have lived a great life. I cannot complain about any aspect. But feeling like I’m walking on the brink of death, I see things that I hadn’t noticed before. Like the way my husband’s eyes lit up when I bumped into him the first time. How his eyes lit up and mouth curved whenever I entered the room. Marriage is an amazing thing. People are often criticizing the institution of marriage, saying that you will never be happy with just one person, that marriage is hating someone so much but not killing them because you’ll miss them. My marriage… it was the best part of me. The both of us. So many great things come from marriage and I think it’s something that these young people just don’t understand. Oh my, I’ve lost my thoughts again. It really happens quite a lot these days. I think of something and then I’m talking, but I forget. It just floats from my mind like leaves. And sometimes I even wake up forgetting what day it is, or how old I am. My children come to visit and I wonder when they grew up, when they became parents themselves instead of the reckless teens I thought they still were. My kids gave me hell. I had two sons who loved tying each other to trees, lighting fires in the back yard and two girls who loved to watch. My husband always said to me: “Let it run its course. Let them be reckless because it might teach them responsibility.” That’s the thing about parenting, it’s hit and miss most of the time but just sometimes you see glimpses of the people they’re going to be. My younger son, Hamish, he lit the most fires and caused the most trouble but he had a soft spot for animals that he didn’t let many people see. Now he’s a vet. My other son is in construction. My elder daughter was a teacher before leaving and being a stay at home mum. My youngest, my most ambitious and my cheekiest became the CFO of a huge company in America. Hopefully, I’ll be with my daughter and husband soon. Memory loss is such a terrifying thing. My uncle started losing his memory after a series of strokes. At the end of his life, he was a large, frightened child. It’s so tragic that it makes me angry to think of. Gedachten vliegen in het rond. Ik probeer ze te grijpen, dit is niet gezond. Hoe kan ik nu alles vergeten? Waar zijn alle dingen die ik wilde weten? Ik kijk in de spiegel vol verdriet. Alsjeblieft gedachten, blijf in mijn hoofd. I try to grab them, this isn’t healthy. How can I forget everything? Where are all the things, I wanted to know. I look in the mirror, full of distress. Please, thoughts, stay in my head. We have found a cure for the tragedy of dementia. The slow degeneration of the brain, crumbling , as memory leaks out. I lost all track of everything. My mind was a complete blank. Every particle of the theory has been absorbed and reflected on, then taken to pieces and rebuilt. I lived, ate and processed the information. Every nuance and physical movement of the changes in the cerebral material has been observed and recorded by my brain cells. I had lost all track of everything, I will now be rebuilt, my whole personality has been reconstructed piece by piece. I am now the foundation of an idea. The brain reconstruction is complete. The Alzheimer’s disease I had suffered from has now been arrested. Written by John Yeo © All rights reserved. Wow, that would be the day where we can reverse the effects of Alzheimer’s disease. Great piece! I liked the phrase ‘as memory leaks out’. Very, very cool. And also devastating. I loved the final lines – ‘Though his body had died, William’s mind remained. But only as a shadow, scattered to the electric winds, without the soul to use it.’ Perfection. There they go again. I cannot seem to keep them in. I do not know why I even try to remember the names of the places I’ve been. In those memories I found comfort but now they are gone. I cannot for the life of me remember the names of my favorite songs. I cannot remember where the hell I left the television remote or the name of that kid from gym in the class of 53’. These days I have no clue what is going on with me. I guess I am getting old. Someday you may understand. But right now you should laugh, play and love everyway that you possibly can. May none of us have to go through this. 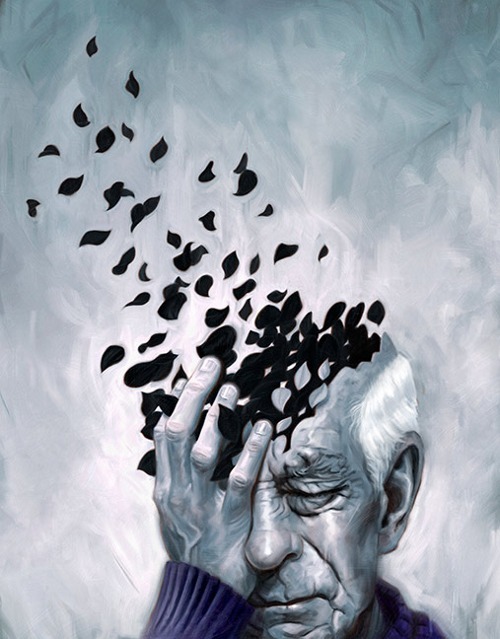 Fortunately, memory loss isn’t inevitable, but the possibility is something I dread. I like how even though the piece is sad, the character still urges us to enjoy life. Even if we may forget the details later on. I created a long character study using this and two other prompts. Ever have a migraine? Wonder what it’s like? Explore the world of a migraine sufferer. It might help lessen yours. I loved this part so much – “The right side of my head’s like a seam, unraveling. Skull shards floating away in slow motion. ” Great description! I’ve only had one migraine in my life so far but… man… it was absolutely terrible. So debilitating. I really empathise with those who experience them frequently.